Our school system is in serious trouble. It is failing miserably in fulfilling their primary responsibility to educate our children. Their focus is on social engineering and not on our children’s academic success. Their reckless spending contributes to our real estate taxes going through the roof year after year. They are moving in on the family’s responsibility for moral education by driving a wedge between children and parents. I have a clear vision of what commonsense reforms can fix the issues. Please review various pages here on my website, to find out more about my ideas to reform Fairfax County School System as an At-Large board member. I am counting on your support! We need to better-compensate the best we have than hire more, enforce performance standards for pay increases, stop overemphasizing reading/math test scores at the expense of real instruction, stop using teachers as tools for social engineering and allow them to be expert instructors in their chosen disciplines, and stop throwing endless bureaucracy and controls into the paths of teachers. Teachers should be trusted and be able to enforce discipline in their classrooms. We have to learn from the success of Asian communities in STEM and make appropriate adjustments to our STEM curriculum and methods. Similarly, more and more of our population have become international and immigrant in nature, thereby making schools the only place to learn much US History. Citizens having sound knowledge of the nation’s history with perspective’s developed on that knowledge is critical in shaping the destiny of a nation. Direct instruction methods such as Direct Instruction System for Teaching Arithmetic and Reading (DISTAR) in contrast to exploratory models such as inquiry-based learning is found to be much more effective, and should be explored. Education choices afforded by School Voucher programs in 15 states and Washington, D.C have proven to make situation better. School vouchers give parents the freedom to choose a private school for their children, using all or part of the public funding set aside for their children’s education. Charter Schools are another option to be explored for districts with consistently bad results. Politicians and vested interest trying to dilute such programs by branding those as not equitable and diverse enough is fundamentally wrong. Such approach will erode the much-acclaimed merit reputation of the FCPS system. Opportunity for all is equity in my definition, not lowering the bars so that everyone can feel good about themselves. We should assertively address and remove the hurdles in the path of the disadvantaged instead of diluting the standards for all. Since parents can opt out their children from FLE but not from “Emotional and Social Health”, the school board also moved much of FLE to “Emotional and Social Health” unit, making those lessons mandatory with no opt-out. These actions despite overwhelming majority of parents’ opposing must be reversed. The attitude that systems and the government know more about the needs for children than their parents is wrong and should be corrected immediately. The system explicitly tells the kids that it understands them better, not their parents. There is no system in the world that can replace the care and concern of loving parents and so any counseling should require parental involvement. Reduction in parental involvement in schools should be addressed with a sense of urgency. Avenues of parental involvement should be aggressively advocated for, preserved and protected. Our elementary schools currently do not have permanent security staffing, while middle and high schools are staffed with just one school resource officer each. Efforts in strengthening mental health support systems should have a holistic and root cause inquisitive approach. Seeking family involvement from early on in doubtful behavioral situations would help reveal fault lines before it is too late. in understanding the underlying reasons for poor performance and in addressing them effectively. The School Board has to do more than blindly signing off on proposals brought out by unelected bureaucrats and special interests. Throwing more money alone won’t solve problems. Prolific sole source contracting without competition and lack of stricter auditory framework is another major concern. Because he is a Champion for Academic Rigor and A Voice for Families. 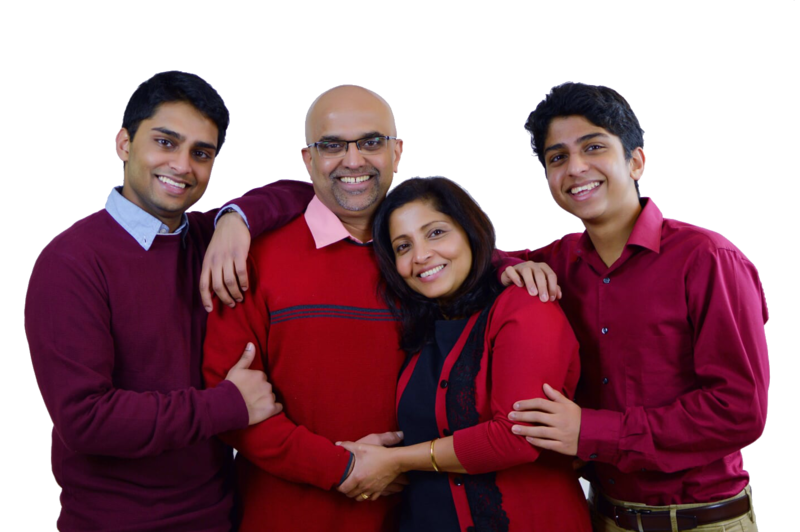 He lives in McLean, Virginia with his wife and technology leader Asha Palathingal. 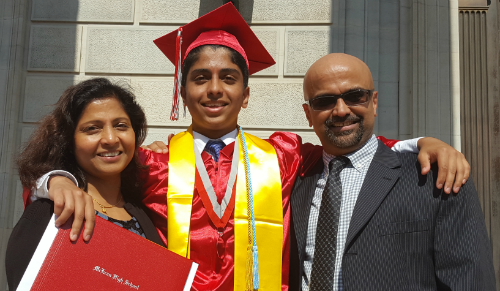 Vinson and Asha have two children, Xavier & Stephen, both graduated from McLean High School. They both went to UVA for their Computer Science degrees, Xavier graduated in 2015 and Stephen will graduate in 2021. 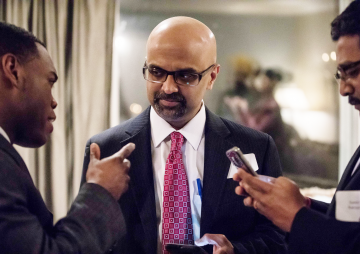 During his children’s school years, Vinson has been a mentor to many students and has volunteered many hours in Fairfax County school programs. Such activities include being a yearlong instructor for ‘Hands on Science’ program at Haycock Elementary School, providing parental guidance to student teams in Science Olympiad at Longfellow Middle School and helping his son founding and successfully launching the Science Olympiad team at McLean High School. 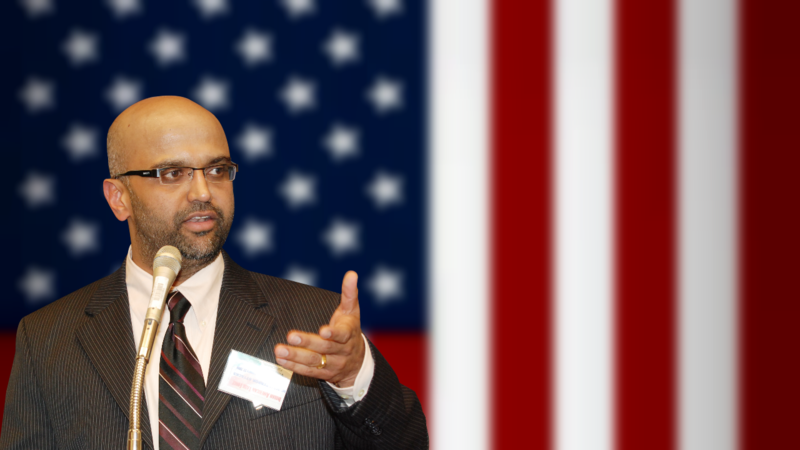 Vinson is a technology entrepreneur and the executive director of the Indo-American Center. He has vast experience with engineering and technology industries over the last 3 decades, that ranges from buildings and road construction to block chains and artificial intelligence. As an insider of the technology industry, Vinson has access to the network and knowledge hub enabling him to be a good mentor providing guidance to youth. 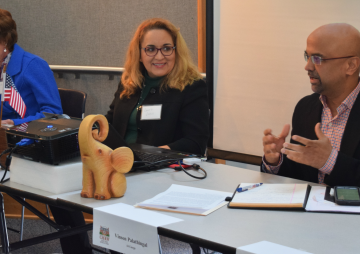 He serves as a career counselor to many, especially STEM graduates, providing insights into industry workings and knowledge on best-suited career paths. He has substantial experience in providing IT training to individuals from across different disciplines. He has successfully facilitated migration of professionals from different fields who are interested in and wanted to pursue different types of IT jobs, without having to earn a degree in technology. His vision for STEM education is driven by an idea of blended educational programs that cover technical, psycho-social and experiential trainings. Such an approach liberates classrooms of traditional learning and nourishes informal learning environments that are technologically stimulating. Students are thereby exposed to thrilling and lucrative futures in IT and can first-hand witness their contribution affecting change. 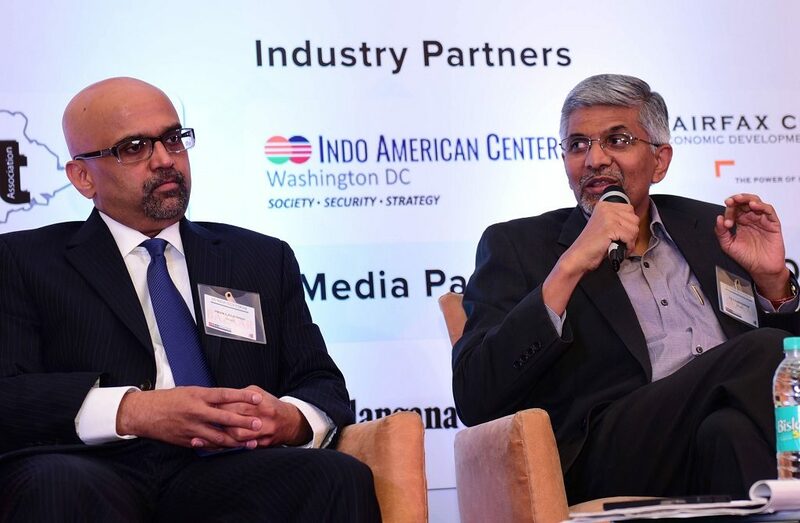 Vinson engages closely with the Indian diaspora, whose continued dependence and success from technology has largely shaped their standing in American society. Vinson intends to leverage this expertise and help perpetuate that to mainstream America. 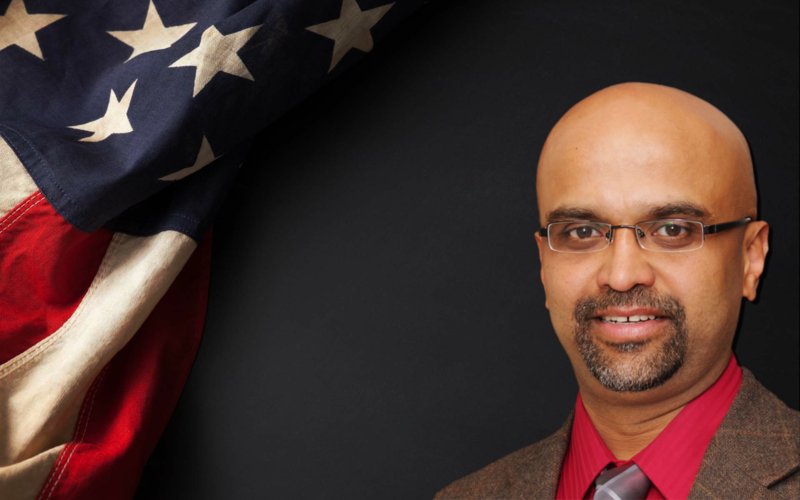 Vinson is a proactive leader in the Indian American Community activities nationally and has his signature on many important events and campaigns that happened in the community. 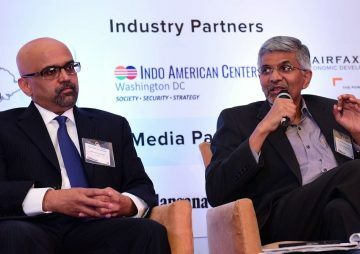 In 2015, Vinson started the 501 (c) (3) foundation, the Indo-American Center, a free-market think tank spreading the message of liberty and small government ideals in both India and the US. Vinson is determined to do whatever it takes to ensure that the socialist communist principles and a centrally controlled economy that he had to run away from in India for better opportunities in US, doesn’t follow him and take a foot hold in his adopted land. Events coming Up, please do join us..! Please support Vinson by Donating and Volunteering.